Courtesy of Sarah Thomas, Lake Powell on the Arizona-Utah border. 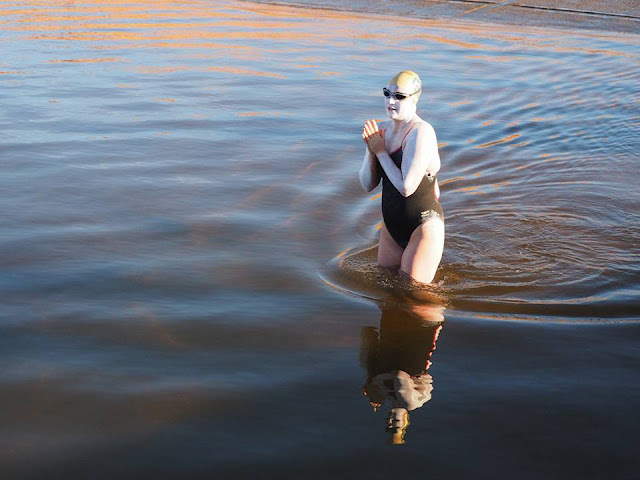 Sarah Thomas of Colorado started right on schedule and is swimming 81.8 miles (131.6 km) over the next 50-64 hours in Lake Powell. 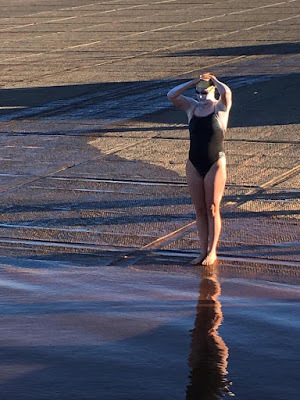 "The water temperature report was 68°F (20°C). The cold front cooled things off quite a bit," said Thomas before the start. Sarah Thomas can be followed here online in real time. 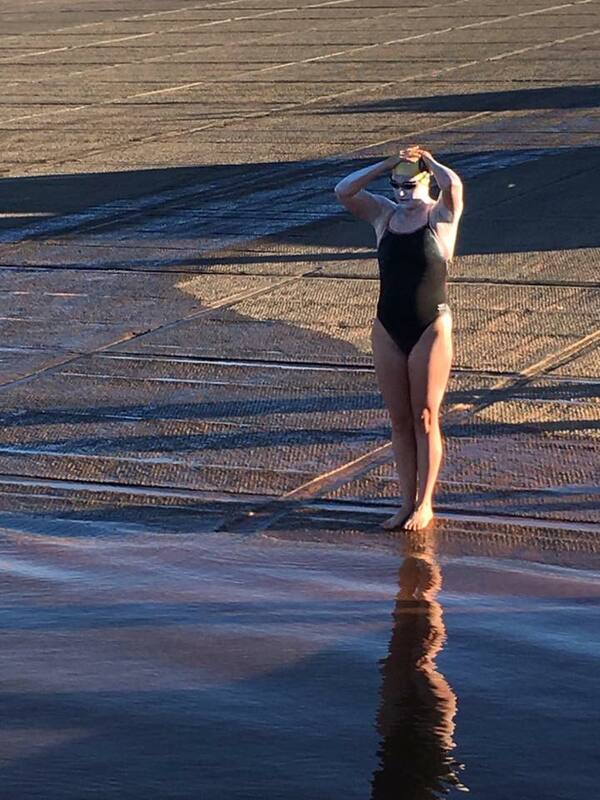 Over the first 4 hours 18 minutes on the longest swim of her career, Thomas has traversed 12.7 km cruising at a 2.9 kpm pace that, if maintained, would place her at the finish in 45 hours 22 minutes.